Geo-targeted Google, Facebook and display advertising campaigns to drive real-world conversions. 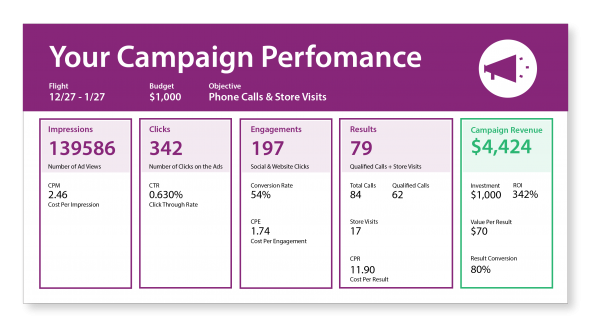 ROI with proof-of-performance reports that are automatically delivered to your inbox. 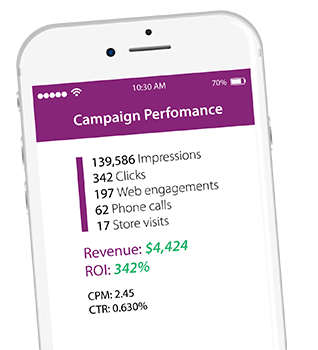 Impressions guaranteed, showing the real-world conversions and deliver true ROI for every campaign. We provide you and your company with regular ROI reports and take care of all fulfillment work so you can focus on scaling your business. Customized ads that appear at the top of Google search results. Turn passive internet surfers into active, engaged customers. Take advantage of the magic of targeting, advertising with laser-like precision based on behavior, location & more. 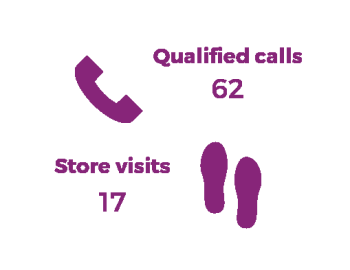 Display call-to-actions like call now, get directions, and drive measurable results for your local business. Digital Advertising uses technologies to promote your local’ business to the right audience at the right time, including targeting competitors’ customers, nearby consumers, past customers and more. Leverage cutting-edge programmatic and geo-location ad targeting technologies to deliver results.